Judith A. Robert, Ph.D. received her Diploma in Psychological Astrology from the Centre for Psychological Astrology, London, in 2011 where she studied under Liz Greene. She holds a doctorate in Counseling Psychology from Northwestern University and her Analyst's Diploma from the C.G. Jung Institute of Chicago in 1995. 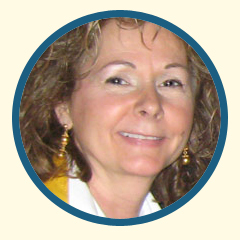 Judith currently maintains a practice in Psychological Astrology in South Bend, Indiana. 'The Saturn Cycle'. Friends of Jung Society. Indianapolis, IN, April 2013. 'Pluto'. Archetypal Festival Conference. University of Notre Dame, July, 1991. 'Psychological Interpretation of the Lithuanian Folk Tale Egle the Queen of Serpents'. Lithuanian Society of Analytical Psychology. Vilnius, Lithuania, September, 1990. 'Fairy Tale Workshop: Rapunzel'. Analytical Psychology Club of Western New York, Buffalo, NY, March, 1988. Co-presenter: Thomas J. Kapacinskas. 'Mythological and Psychological Introduction to Astrology.' The Toledo Center for Jungian Studies, Toledo, OH, December, 1987. 'Sun Sign Mythology' and 'The Saturn Cycle' Clinical Training Program, C.G. Jung Institute, Chicago, June 2013. 'Introduction to Psychological Astrology' at Sacred Waters Center, South Bend, IN, May 2013. 'Topics in Analytical Psychology: Psychological Astrology from the Perspective of Myth, Transference-Countertransference, and Life Cycles', C. G. Jung Institute, Winter 2009. 'Psychological Interpretation of Goddess Mythology'. Indiana University at South Bend, Continuing Education Department, January, 1987. Robert, Judith (2011) 'The Saturn Cycle in the Life and Dreams of Martin Luther King, Jr.' The Astrological Journal, (London) 53, #3, 13-17; #4, 35-40; & #5, 57-62.